Cal Fire. <URL:http://www.fire.ca.gov/fire_protection/fire_protection_fire_info_redbooks.php>. Accessed 25 March 2013. Carraway, L. 1988. Records of reproduction in Sorex pacificus. The Southwestern Naturalist 33: 479-501. Carraway, L.N. 1985. 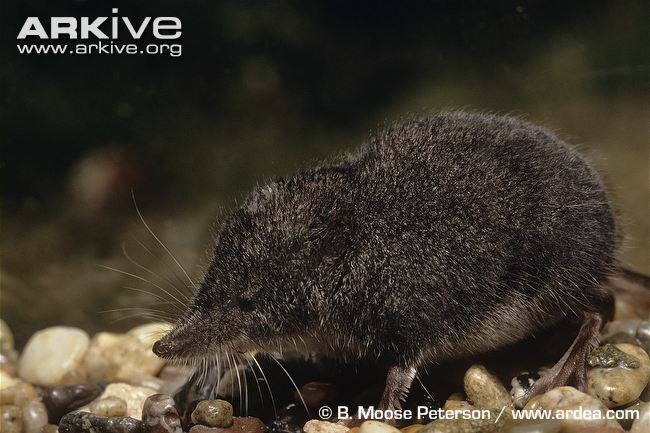 Sorex pacificus. Mammalian Species 231: 1-5. Churchfield, S. 1990. The Natural History of Shrews. Cornell University Press, Ithaca, New York, USA. Gillihan, S.W. and K.R. Foresman. 2004. Sorex vagrans. Mammalian Species 744: 1-5. Schmidt, R.H. 1994. Shrews. Pages 87-91 in S.E. Hygnstrom, R.M. Timm, and G.E. Larson, editors. The Handbook: Prevention and Control of Wildlife Damage. Maser, C. and E. Hooven. 1974. Notes on the behavior and food habits of captive pacific shrews, Sorex pacificus pacific. Northwest Science 2: 81-95. Mish, Frederick. 2014. Merriam-Webster. Merriam-Webster, Incorporated, New York, New York, USA. Pleistocene vertebrates of Arizona, New Mexico, and Trans-Pecos Texas. <URL:https://www.utep.edu/LEB/pleistNM/taxaMamm/Sorex.htm>. Accessed 15 April 2014. The Natural History Collections. <URL:http://www.nhc.ed.ac.uk/index.php?page=236> Accessed 21 March 2014. Verts, B.J and L.N. Carraway. 1998. Land Mammals of Oregon. University of California Press, Berkley and Los Angeles, California, USA. Whitaker, J. and C. Maser. 1976. Food habits of five western Oregon shrews. Northwest Science 2: 102-107.